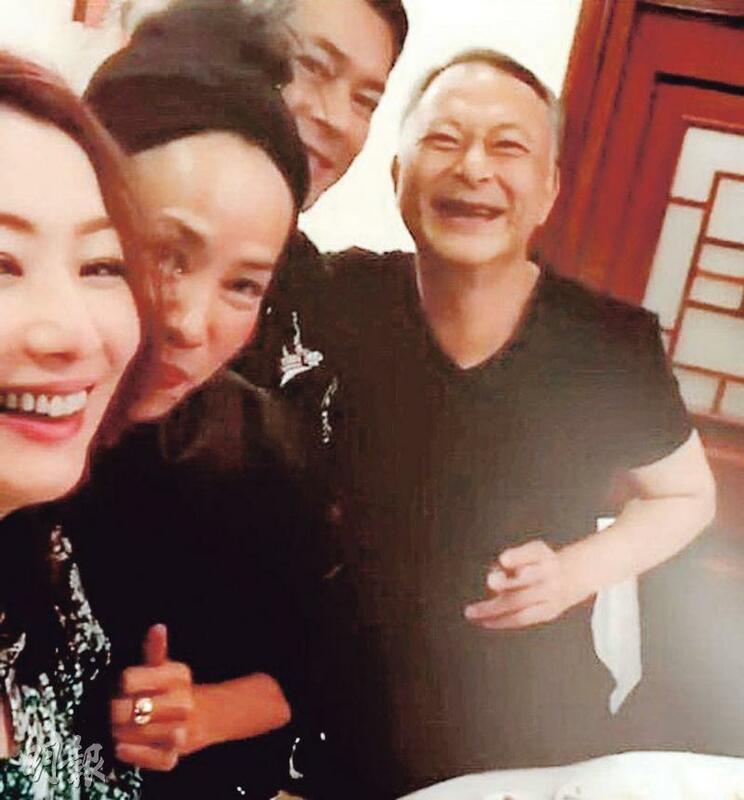 Johnnie To Kei Fung's friends like Mr. and Mrs. Chow Yun Fat, Sammi Cheng Sau Man and Louis Koo Tin Lok took him to dinner to celebrate his 62nd birthday. Sammi took photos videos and posted them on Instagram. Koo Tin Lok "stuck" to Sammi but only got half of his face in the photo, which cracked her up. She shot 4 videos about To Sir's birthday dinner. In the other one Goo Jai made a "full appearance". Sammi's selfie technique truly was adrift. As everyone knows, Fat Gor is a selfie expert. Seeing Sammi with her phone, shaking all over the place and even shooting his chest, Fat Gor could not help but speak up. "Stop blocking me!" Sammi even often took photos of To Sir and commented, "A happy night for her, Happy Birthday To Sir." Luckily she was aware and added several pouting and awkward laugh emoji. No matter what Sammi shoots, fans would already blow it up with likes.